With over 35 years of industry experience, Casey Landscaping & Excavating sets the standard for professional landscaping & excavation in New London, Waupaca, Greenville, Appleton, and the surrounding Wisconsin communities. Fully insured for your peace of mind, Casey Landscaping & Excavating provides all of your residential or commercial property needs when it comes to lawn installation, including stone, edging, shrubs, retaining walls, and so much more. Trust in our expertise to get your property looking its very best and enhance your curb appeal! 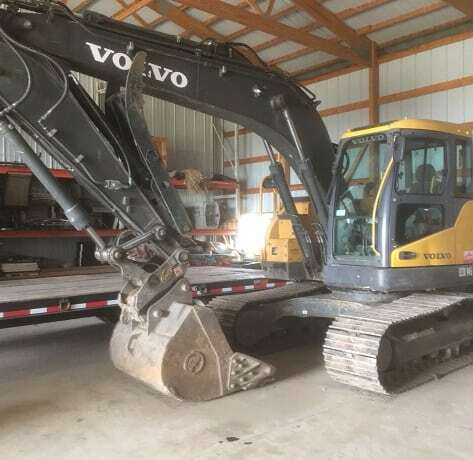 Casey Landscaping & Excavating also offers excavating service for clients looking to dig foundations, ponds, drainage ditches, put in driveways, and more. And during the Winter Season, we provide dependable and efficient snow removal service to commercial property owners within 15 miles of New London, WI. We deliver reliable and affordable landscaping for residential or commercial properties in need of ongoing maintenance or specific projects. Looking to prepare your property for a new driveway, inground pool or decorative pond? Trust in us for your excavation needs! Well-placed stone linings and appropriately sized shrubs add natural beauty to your yard and require little ongoing maintenance. Protect your property from erosion with beautiful and sturdy natural stone retaining walls, providing the perfect touch to your yard. We provide prompt and trustworthy snow removal service to businesses and large property owners during the Winter Season. Our company provides land clearing, plowing and planting for food plots throughout the New London area.